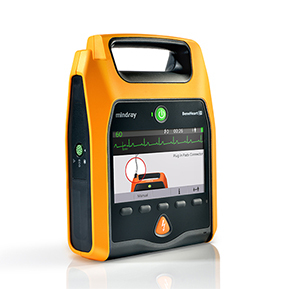 The Mindray Beneheart D1 defibrillator helps you to respond to Sudden Cardiac Arrest in a variety of locations. 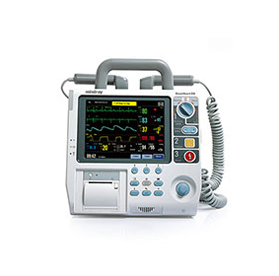 It is designed to be reliable, simple and easy to use by any rescuers. 7-inch TFT display offers clear guidance with color animations. Auto-adjustable volume and screen brightness allow you to comfortably use D1 in a variety of environments. 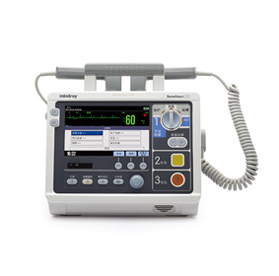 Pre-connected pads save time, and the pads connector can auto-identify patient so that a lower energy dose is delivered to pediatric patients. The disposable battery with extended capacity supports more than 300 shocks at 200J or 200 shocks at 360J. AED Alert ™ system is a patented central management solution that allows you to save service and maintenance costs for BeneHeart D1 installed in public areas, such as shopping malls, theme parks and corporate buildings. AED Alert ™ monitors the status of each AED to ensure it is in standby mode and will function correctly when needed. Data from D1 is transmitted via Wi-Fi * to the AED Alert ™ server where it can be viewed and managed by the service team. Moreover, the server will automatically forward details of any technical problems by Email to the responsible service person.